Today I made a dinosaur necklace! 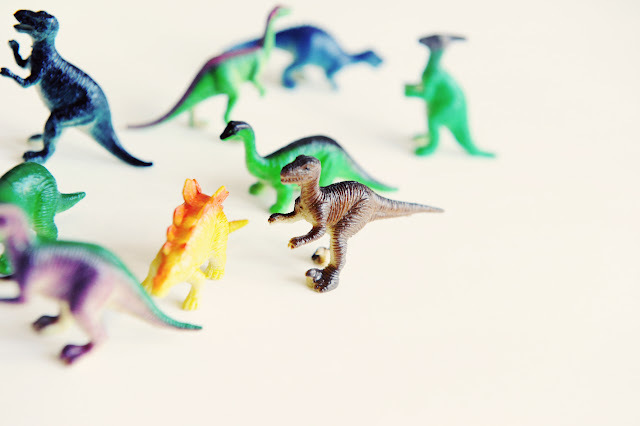 First I got some mini plastic dinosaurs. I got them at a party store ("party favors") for a couple bucks. 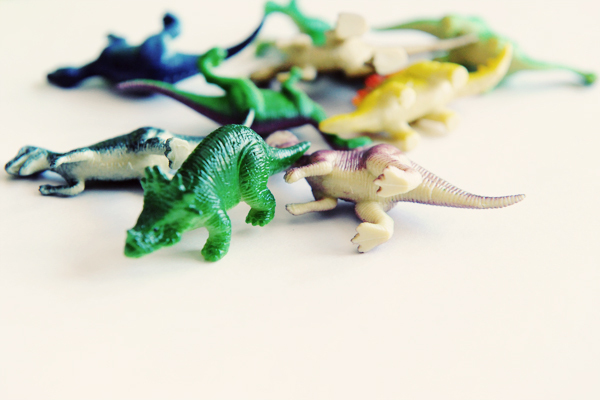 The package had about a dozen dinos. I spray painted it silver, and then covered it in Polycrylic. 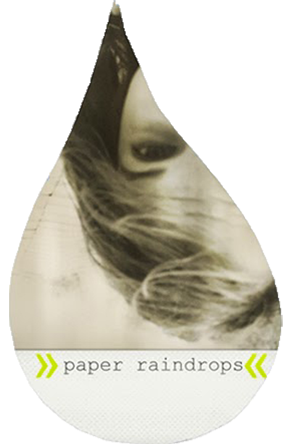 Polyurethane would work too. 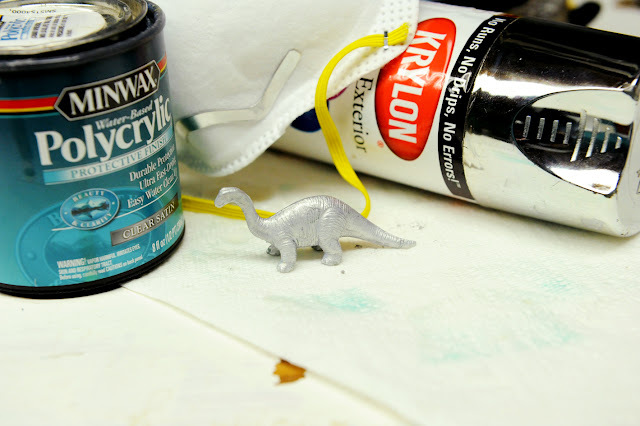 Then I screwed an eye-hook into the dino and attached it to a chain with a little metal circle you can get at craft stores. It's the kind of circle that has a split in it so you can bend it open and then closed again. 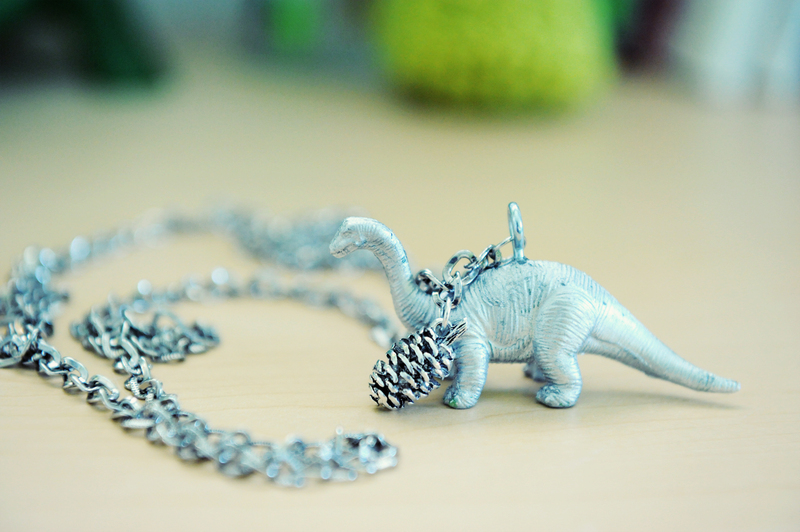 Once the dino and pine cone charm were attached, it was done! I came over from the Project Restyle flickr pool. I love this! I am going to for sure be doing something like this soon! Thank you for the inspiration! I love the way you take a cultural fad, put your own twist on it, and share the thrilling details with your devoted followers. Your sense of style is truly your own. Ooh! Lets make some next week! that is incredibly cute! 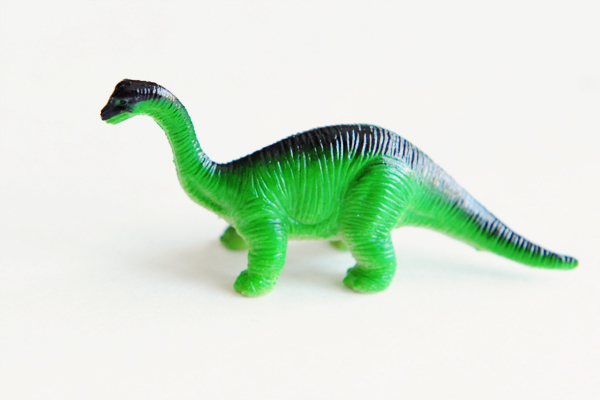 i have a brontosaurus t shirt that is just calling to have that necklace oh and a t-rex too!